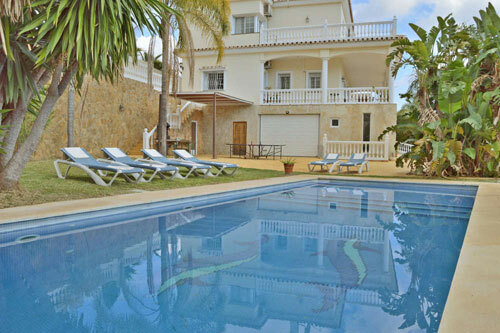 5 bedroom villa with heated pool in Mijas, sea views, close to golf, Mijas. 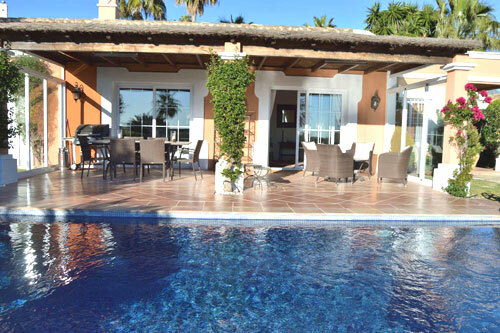 Charming 3 bedroom country style villa, available for holiday rentals, situated in a gated resort of 6 villas, very private and quiet, short walk from Clubhouse Golf Los Naranjos in Nueva Andalucia. 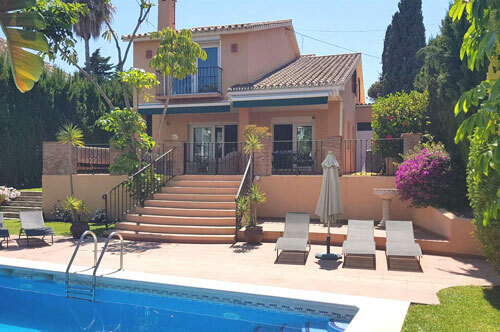 This well positioned contemporary home, with 3 bedrooms, provides an ideal location for a family looking for a quality holiday in a tranquil location. 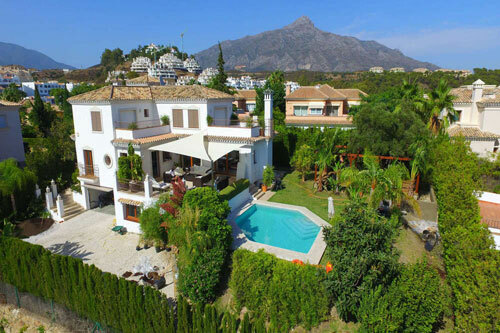 A beautiful 4 bedroom villa in a private, gated villa complex in Nueva Andalucia with Wifi, SKY TV, Private pool,and mature garden. 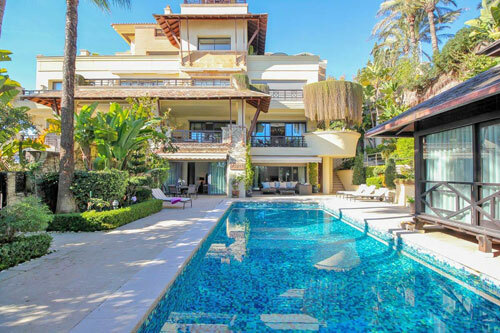 Just 3 mins drive to all the nearby bars, cafes , restaurants and shops in nearby Aloha... and 10 mins drive to Puerto Banus, Marbella Center or San Pedro. 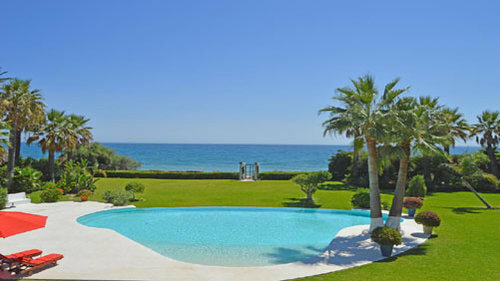 Luxury 3 bedroom apartment, private swimming pool, direct access beach Laguna de Banus. 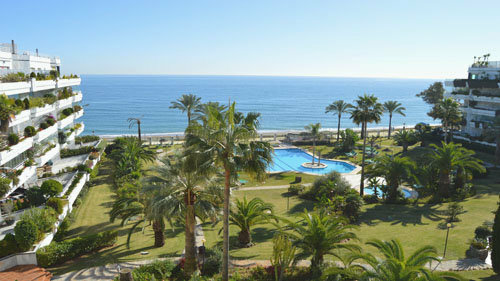 This beautiful ground floor duplex apartment is located in the best position within a spectacular urbanisation on the beach front and just a walk to Puerto Banus. 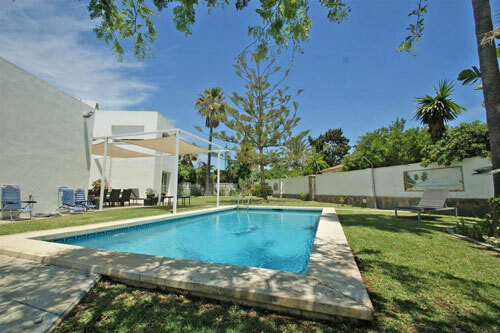 A beautiful, modern, 4 bedroom villa with heated swimming a short walk to Puerto Banus Marin and easy access to all the local bars, cafes and restaurants in Nueva offering the security of being in an established, gated community of villas. 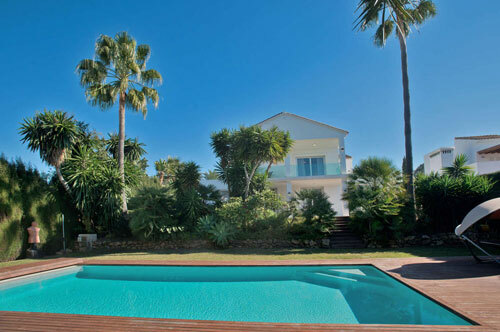 Holiday Villa with heated pool.. 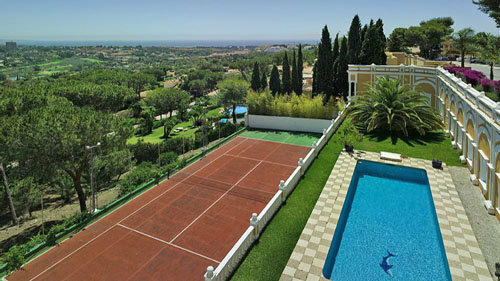 Your luxury mansion with 6 or more bedrooms, top luxury holidays in Marbella. You don't have time to go to a travel agent? 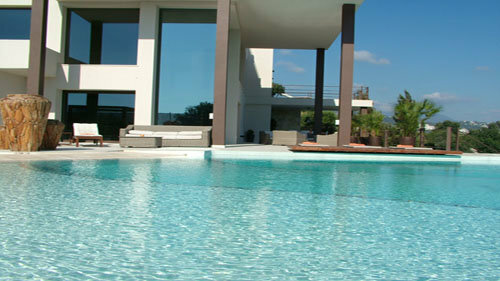 With the online travel agency holiday-locations, you can easily book your desired dream holiday. Select the latest offers from: holiday house, holiday home, holiday villa, you want to book a flight or rent a car, no problem, we offer a comprehensive range of tourism products. From sun, palm trees, beach and sea is just a few clicks. Dive with us into the World and book with holiday-locations. It so far throughout the year you've worked hard and now is finally time to think about yourself. The idea is close to going on holiday. But what kind of vacation is right for you? Which holiday provider supports me in my decision?